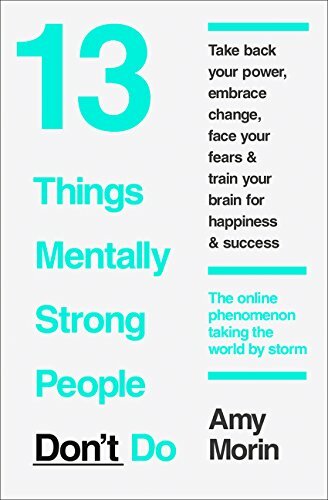 From Amy Morin, author of “13 Things Mentally Strong People Don’t Do”, the article that went viral and garnered million views in two weeks, comes the ultimate how-to guide to overcome the obstacles getting in the way of a fabulous, more fulfilling and happier life. Morin knows that of which she speaks. At just 26, while working as a Psychologist and therapist, Morin’s husband died suddenly. Inwardly reeling, she realised what pitfalls she didn’t want to succumb to: self-pity, a sense of entitlement and resentment. In the ten years since then, she’s refined these principles and worked on them with countless patients. The results are impressive. In this book, we learn to identify the 13 common habits that hold us back in life, and how to avoid them. We go to the gym to build up our physical muscles, but we haven’t yet thought about mental strength: the real key to a more productive and meaningful life. This revolutionary book shows you how.